Next week we will be running two more of our ever-popular Get the Know How study skills sessions here in the Library. On Monday 16th October we will be presenting advice on Plagiarism and how to avoid it. This workshop explains what plagiarism is, why people plagiarise and offers help on how to avoid plagiarising. On Tuesday 17th October we will be running the session Referencing and citation explained. Do your referencing and citation skills need improvement? Good quality bibliographies and correct referencing in your assignments can lift your assignment marks. Come and learn how to cite different types of resource for your assignments. From the end of October 2017 the University will no longer be supporting RefWorks; so it is vital that you make provision to migrate any references you have in RefWorks to a new platform. We start a new semester with a new season of our popular Get the Know How sessions aimed giving students a gentle but effective introduction into some of the finer points of studying and learning here in the Library. Our first session – Getting the most out of your Library – is next week, Thursday 12th October, from 1pm to 1.50pm in Library Seminar Room 1. This session will introduce you to the various Library services and facilities available to help you get the most of your studies at University. Owing to the popularity of these sessions, we require that people reserve their place online. Please follow the link below in order to book. Do you use RefWorks as your favoured referencing software? If so, it is important that you act now in order to ensure that you do not lose any of your work. From September 2017 the University will no longer be supporting RefWorks; so It is vital that you make provision to migrate any references you have in RefWorks to a new platform. New to Referencing Software? Get the Know How! This May we’re running a couple of training sessions introducing students to the wonders of referencing software. With essays and deadlines looming, it’s the perfect time to find out about a crucial element in obtaining a good mark. On Wednesday 10th May in Seminar Room 2 (2-3.30pm) we’re running a session Introducing Mendeley. This introductory practical workshop will explain the purpose of referencing software, help you to set up a Mendeley account, add references to it and organise them into folders. You will also learn how to export references into a document and create a bibliography. 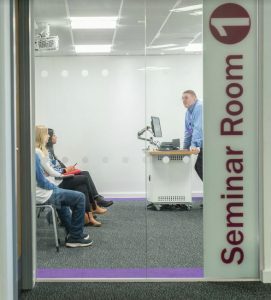 If time is of the essence and you need a more bite-sized introduction, then why not book a spot on our Introducing Referencing Get the Know session on Thursday 11th May, also in Seminar Room 2, between 12-12.50pm. This session will demonstrate all the referencing products available as well as Mendeley. 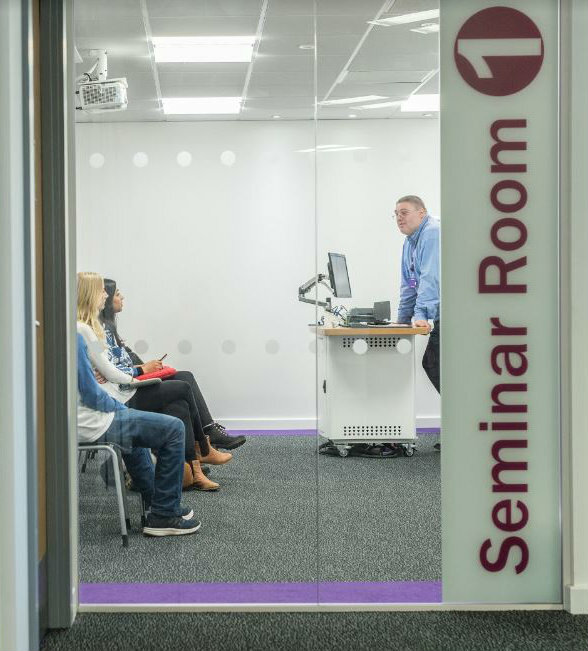 Please note that both workshops are aimed at new or novice users of Mendeley and referencing software in general and will not cover advanced features. Anticipating the switchover in referencing software from RefWorks to Mendeley, the Library is running a series of workshops and drop-in sessions during March and April to support the migration. The workshops aim to introduce users to Mendeley, while the drop-in sessions are aimed at those who need assistance moving their references from RefWorks into Mendeley. Give Your Library Skills a Boost for Semester 2 – Get the Know How! All set for Semester 2? Well, in case you’re thinking you’re not as academic battle-hardened by Semester 1 as you ought to be, let us give your skills a boost through one of our range of ever-popular Get the Know How sessions at the Library. Ranging from handy tips on essay & report writing to finding information more effectively, referencing & citation explained and introductions to bibliographic software, there’s something for every academic occasion that will stand you in good stead for the duration of your course.